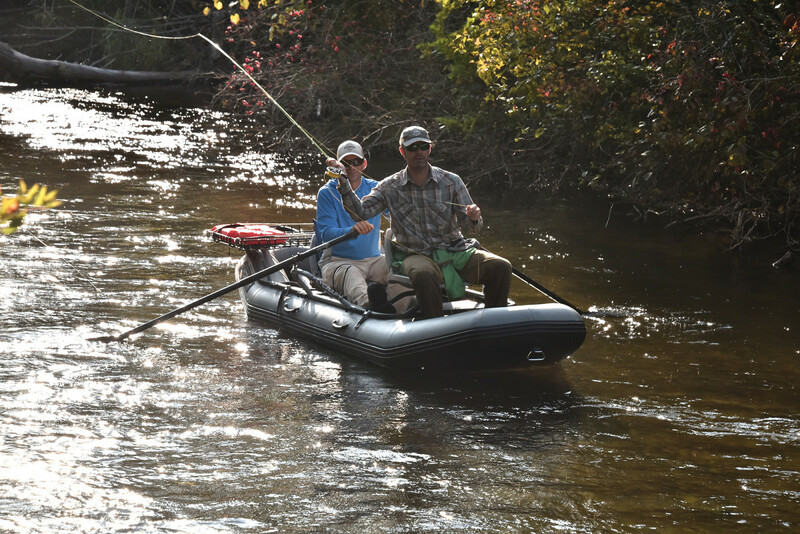 Two old friends and guides enjoy a fall float in Michigan. Alex Lafkas (fishing) is considered one of the best streamer anglers in the country. It seemed an appropriate comeuppance, to be waiting in the dark for my old friend Alex Lafkas. Twenty-five years ago, on our earliest fishing trips together, I blindfolded him before driving us to the hidden bass ponds and secluded stretches of smallmouth streams in industrial southern Michigan. It was a childish prank that I wrote off in the name of secrecy, and that he allowed because he lacked even a learner’s permit. A quarter-century later, with a morning to kill in Traverse City and a serious brook trout jones to boot, I was half expecting Alex — who has evolved into one of the country’s most innovative and successful streamer anglers, as well as the best big brown trout guide in Michigan — to lash a handkerchief around my eyes before we embarked. I sat in the rental in his driveway with the windows down, relishing the early September humidity and the crescendo of the tree frogs’ chorus until the porch light flicked on. The screen door cracked open, and a hand waved me inside the modest ranch, where the scent of fried sausage lured me to the kitchen. I met Sarah, Alex’s wife of several years, who greeted me with a hug and offered me a plate of the fixings at which I couldn’t stop staring. Busman’s holiday for guides. Dombrowski casts while Lafkas positions the boat. “I thought the appendix thing was just an excuse so you didn’t have to row today,” I said. 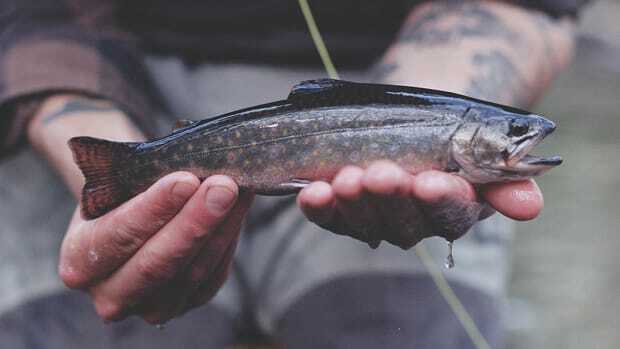 “Were it not for rainbow trout, I would have to fish for bass. 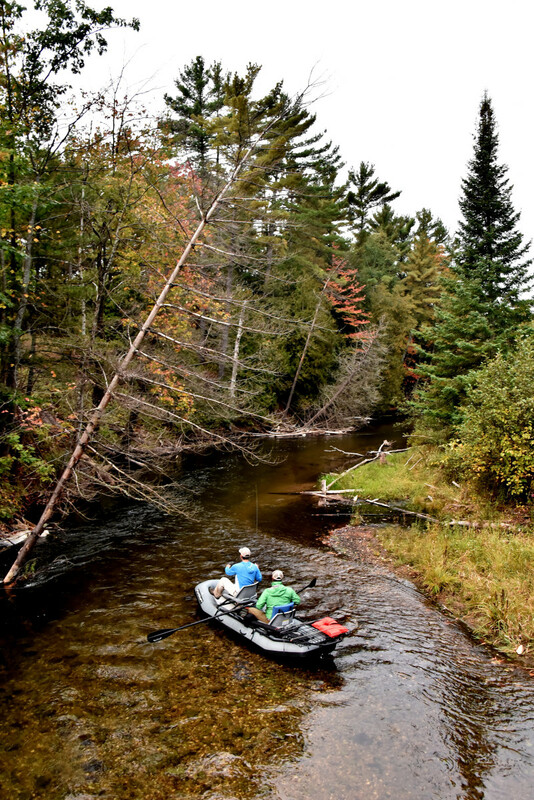 After nearly two decades of fishing 200-plus days a year in northern Michigan, Alex has amassed an unsurpassed list of “options” across the diverse and demanding watershed. He offered the steady backup plan of top-water smallmouth (“I’ve seen what I think were a couple of line-class records this year”) and the half-chance of sight-fishing staging coho in the surf (“long shot but a big-time rush if they’re in the bay”). With Alex’s purview, the list could go on. 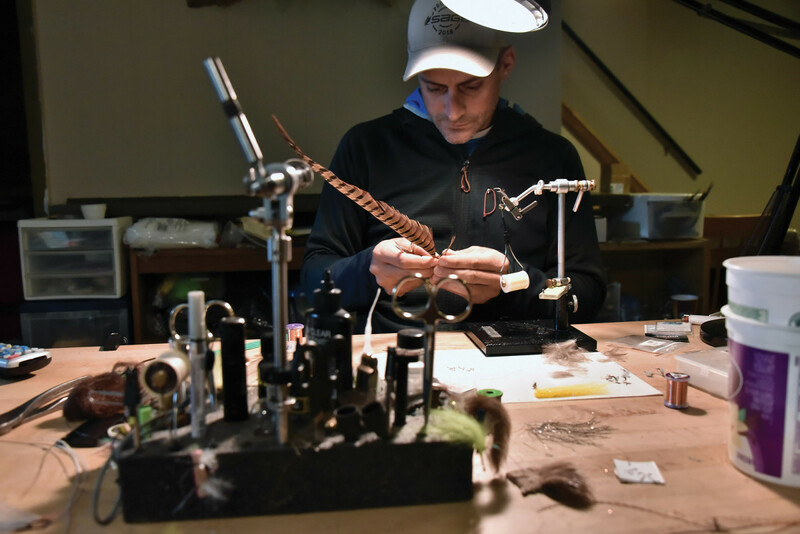 He has served as an accomplished hand on Lake Michigan charter boats; become lethal with the jig and leech for walleye on the inland lakes; and, heck, last October he guided clients into fly-caught bass, steelhead and musky in the same day. But I could tell he was leaning toward trout. “Have the kings started up the rivers yet?” I asked. 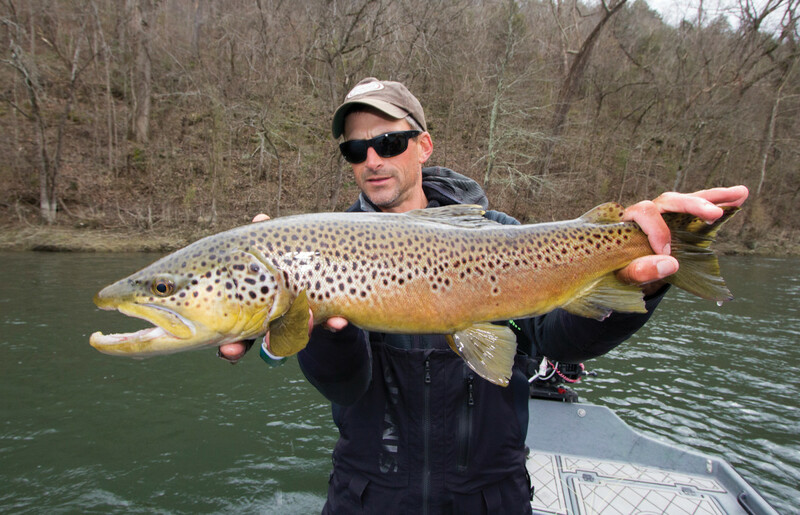 Alex Lafkas helped pioneer fishing big streamers for oversized browns on the White River in Arkansas. As Alex drove south, I scrolled through photos on his phone, stuff he doesn’t post on Facebook, swapping popularity for some semblance of secrecy, claiming the trend of daily grip-and-grin posting is “bad for business if your business is trout.” Somehow I had accessed what I’ll call his “2-footer album,” which is filled with images of salmo trutta of the largely nocturnal variety, with maws that would fit a fist and teeth made to shred 12-inch trout. 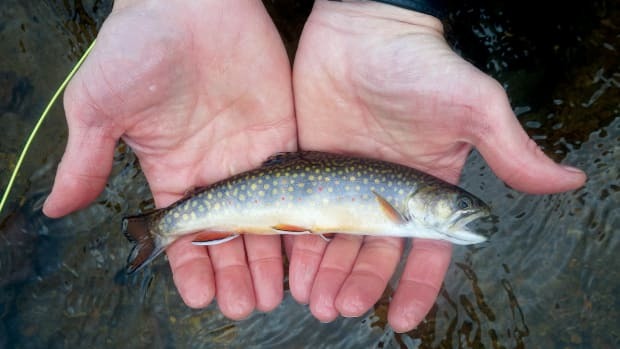 I reasoned that Alex handles more fly-caught, 2-foot brown trout per year than many fisheries biologists, let alone anglers, handle in a lifetime. 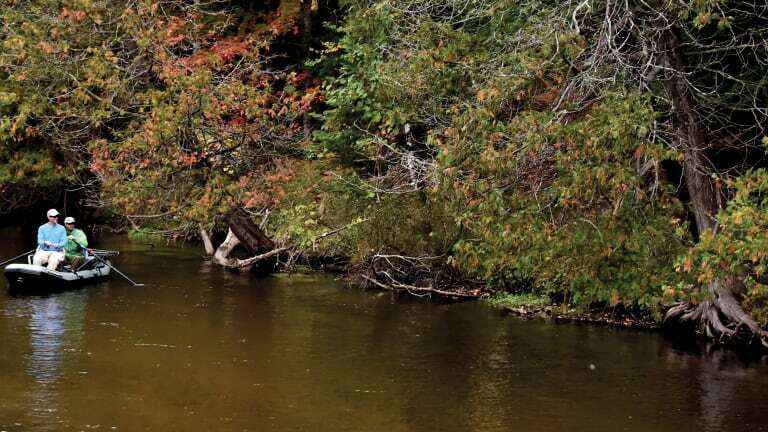 Some of these creatures come from the AuSable and Manistee river systems in Michigan, where he guides about 150 days each year, but many of them hail from parts south: Arkansas’ White River, to be precise. 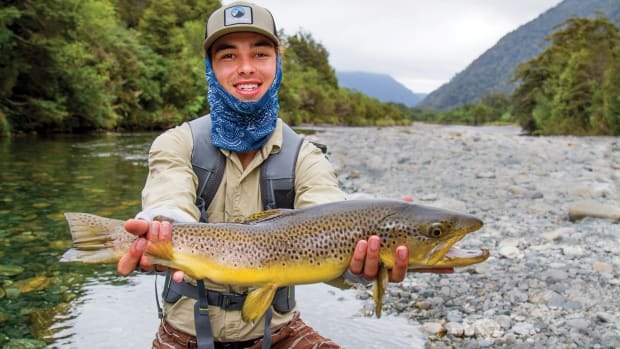 Since 2010, Alex has guided from January through March on the White, where he introduced the 8-weight-and-sink-tip streamer game to the trophy-rich tailwater. 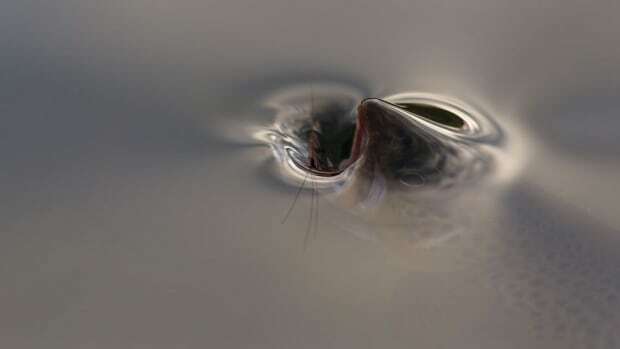 His success came much to the surprise of local fly anglers accustomed to hucking double nymph rigs below Bull Shoals Dam. 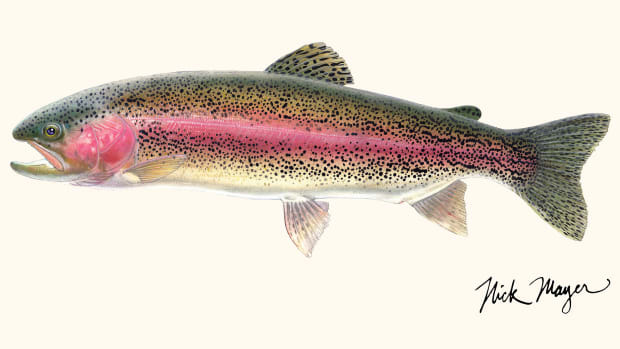 When he first arrived at the White on a winter reconnaissance mission in 2007, Alex plugged away with the usual articulated suspects, such as Circus Peanuts, and landed several large trout, but the most important fish he took during that trip was a stocker rainbow trout roughly half that size. As adolescents, Chris Dombrowski (right) used to blindfold Alex Lafkas before taking him to “secret” bass ponds and smallmouth streams. 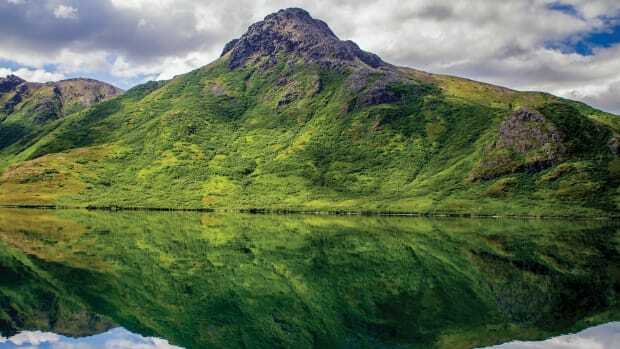 The following January, when Alex did eclipse the 10-pound mark, the Mountain Home locals started to notice the young out-of-towner rowing a Mackenzie (not a jetboat) down stretches of river no one else bothered to run, in flows most presumed too high or when water clarity was suspect. In tight-knit angling communities like Mountain Home’s, there’s no one quite like the “new guy” to instigate division (see author Thomas McGuane’s classic Ninety-Two in the Shade for a nonpareil fictional account of said dynamic), but rather than alienate the old guard on the White, Alex opened his playbook to anyone who asked for a peek, endearing himself to the establishment. It was a feat that nearly equaled those he was pulling off with the 8 weight. 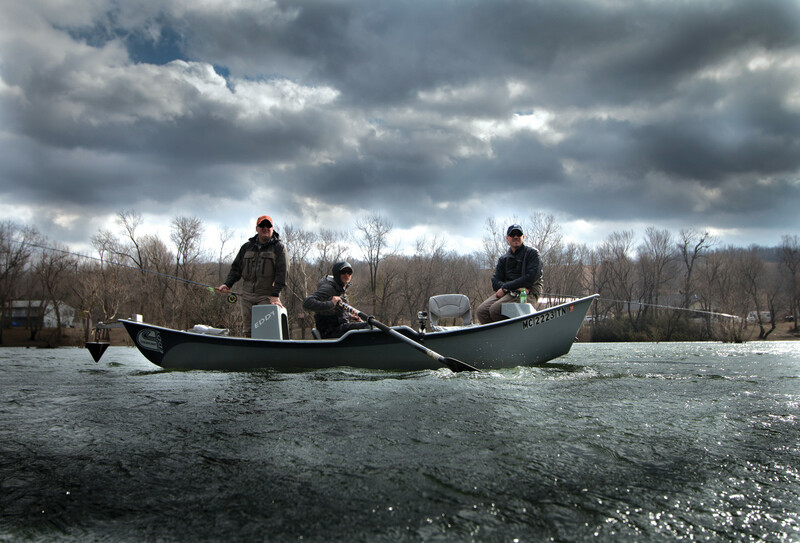 Lafkas and two clients drift for trophy browns on the White River. While Alex rigged the rods, I dragged his 14-foot Flycraft down a tiny, unmarked trail through the woods, wondering if the inflatable and frame and oars didn’t weigh less than the suitcase I’d rolled through the airport a day prior. Soon we were floating down the river where the Adams dry fly was invented, through a thin, low shroud of fog and tight canopies of cedars strung with wild grape. Alex roll-casted a streamer with ridiculous precision. I marveled at how effortlessly the small boat handled: “It’s like driving a Fiat.” He turned a nice brown, already fall-dark across its back. “Oh, you like the olive-and-white, do you?” Not much had changed since we started fishing together a quarter century ago: I was talking to myself, and Alex was talking to the fish. 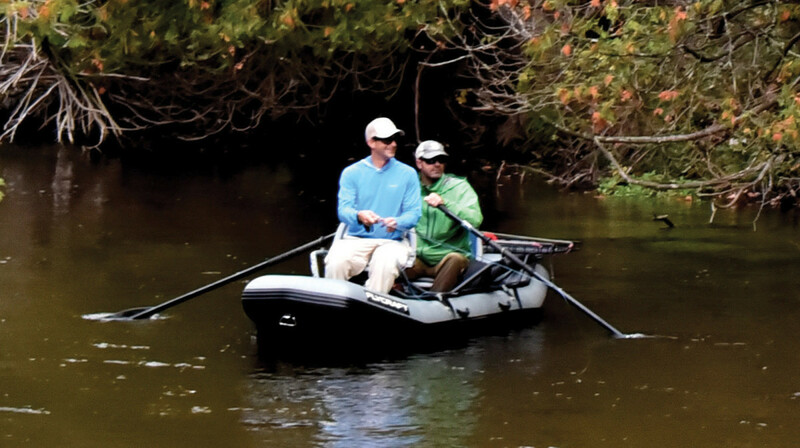 Lafkas is an innovative guide on the waters of Michigan and Arkansas. I rose one on my first offering, missed the hook set, then snagged my return bid on a moss-covered sweeper. A roll-cast sent slack into the line, and I freed the bug on the backcast. “A star is born,” Alex joked. As I fed the fly in and out of shade lines, above cress and deadfalls, a fugue-like conversation ensued wherein caster and oarsman recounted — down to the meals we had cooked, the flies we’d tied on the tailgate of the pickup and the precise measurement of the biggest cutthroat we’d caught — our first teenage backpacking trip into Montana’s Scapegoat Wilderness. We’d been on the North Fork of the Blackfoot, a river on which I would wind up guiding. “Cutthroat would come up from 10 feet down for it,” Alex recalled. 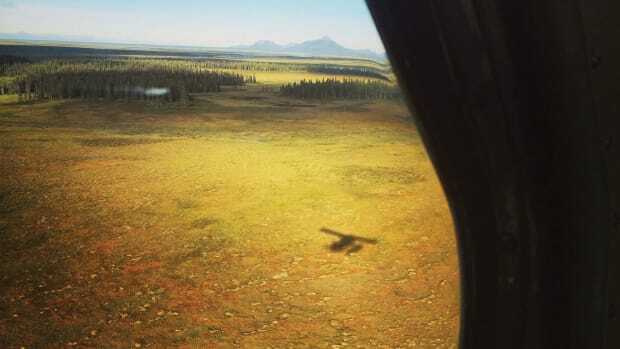 “We were throwing that huge dry-fly junk before anyone was. 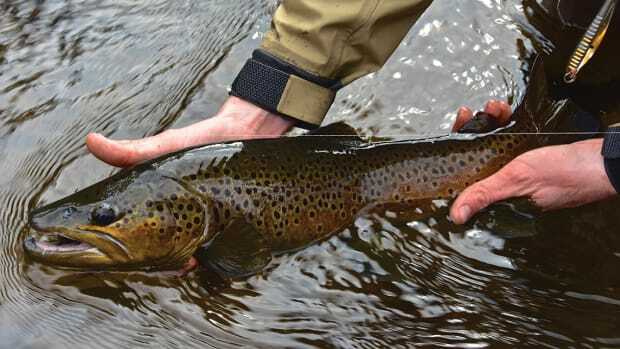 Do you remember that goofy old 8-foot, 6-weight Scott rod you had?” On like this we went, ad infinitum, culling fish from the voluminous river of memory. Did I. Mortgage broker, banker, insurance salesmen, teacher, freelancer, development director — between the two of us, we’d temporarily held another half-dozen occupations over the years before returning to our hardscrabble havens behind the oars. The answer to what had kept us in the game so long — nearly four decades of guiding experience between us — was elusive, harder to bring to hand than the 50-plus-pound musky Alex has had his sights on since helping a friend land a Michigan state record specimen that weighed 54 pounds in 2012. “You been close to any muskellunge this year?” I asked. Alex lit a Camel and drew deeply. Above the bank, a grasshopper made its way across a wintergreen bush, hopping from berry to red berry, waiting until the fruit ceased its swaying before venturing to the next. It was like a man crossing, boulder by boulder, a fast, shallow river. I turned from the grasshopper and, watching the current curl under a sweeper, pictured Alex in the middle of some large, unnamed inland lake chain, standing on the windblown deck of his Crestliner as it rose and fell on some modest chop, staring down into the jade-colored water into which the broad fish ghosted, shaking his head, sharing his disbelief with the water, maybe the fish, then eventually kneeling down and rerigging. 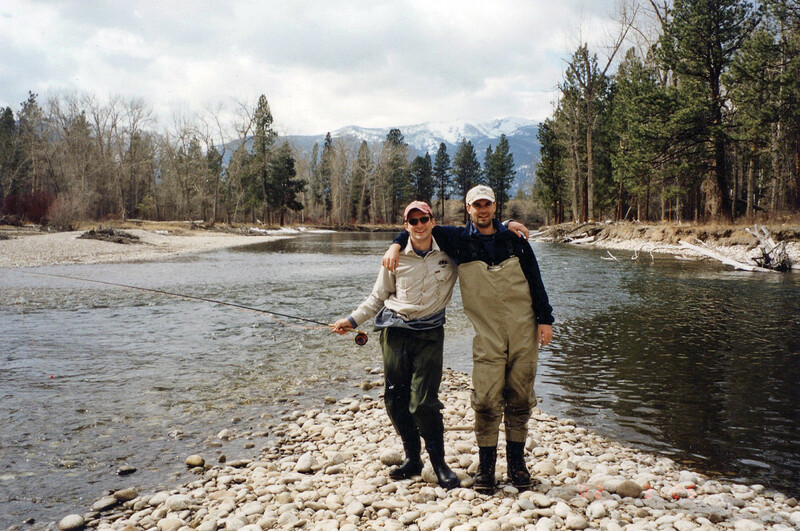 A father and son share a love letter to trout, art and fleeting time spent together.